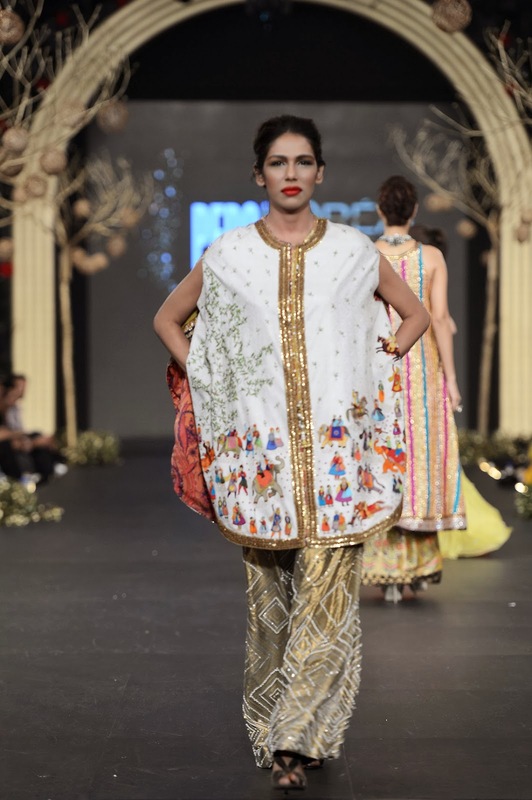 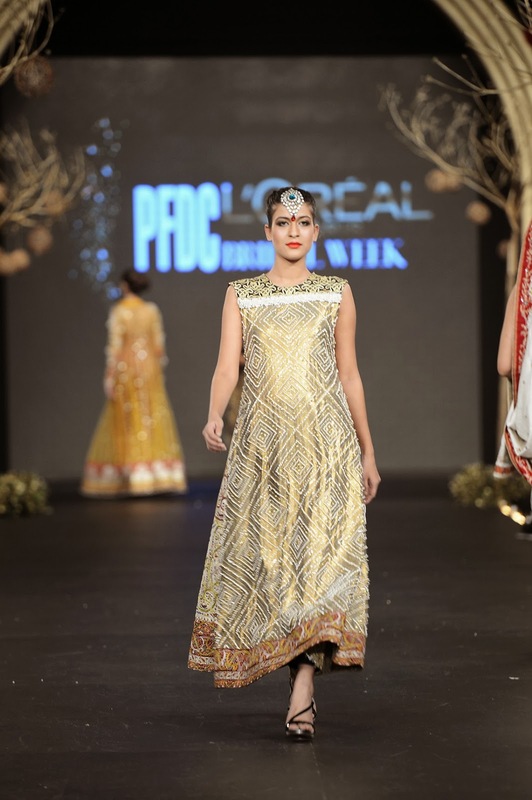 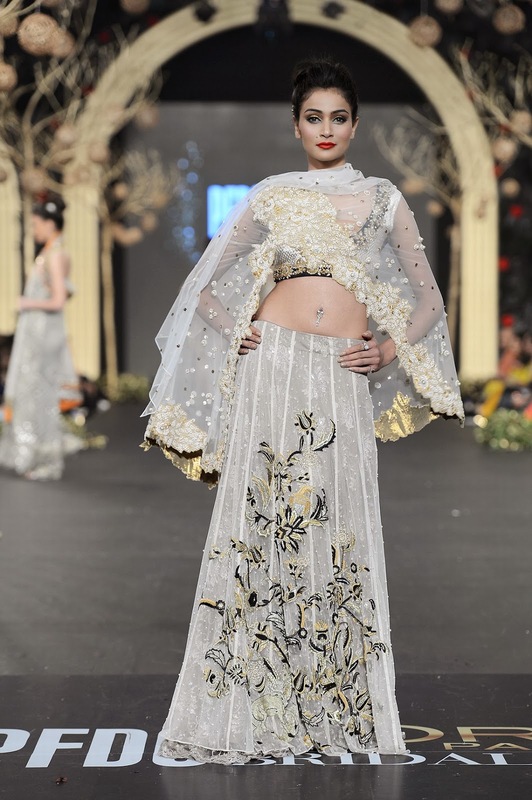 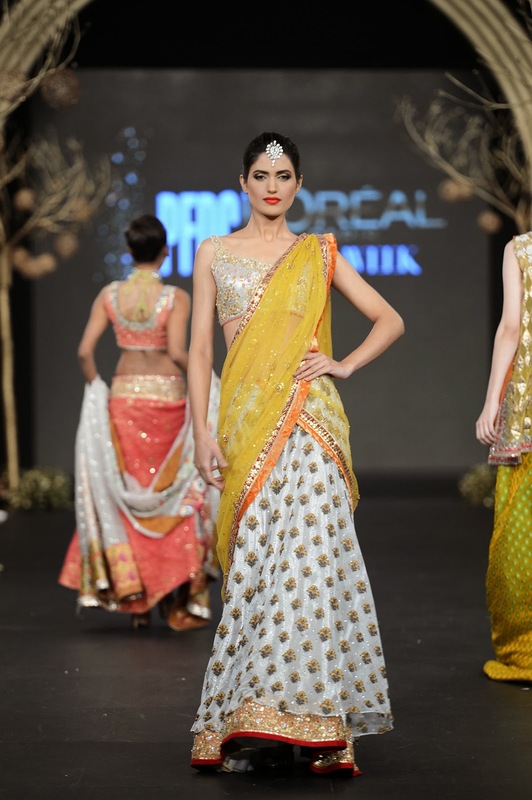 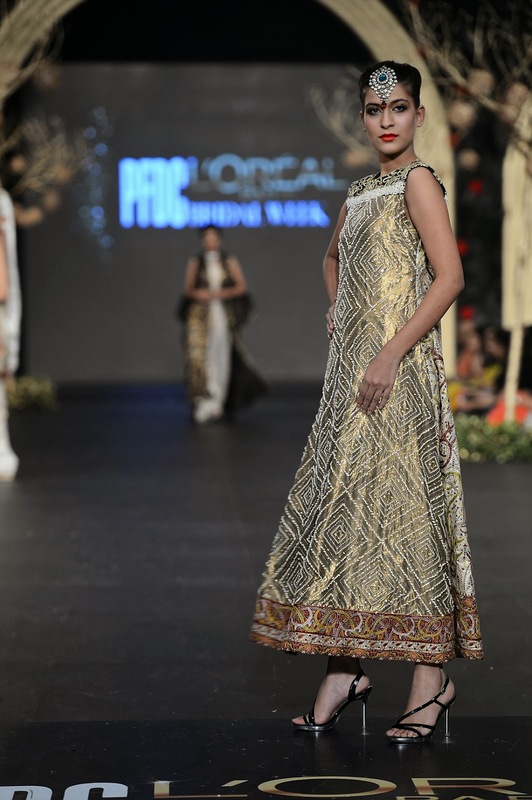 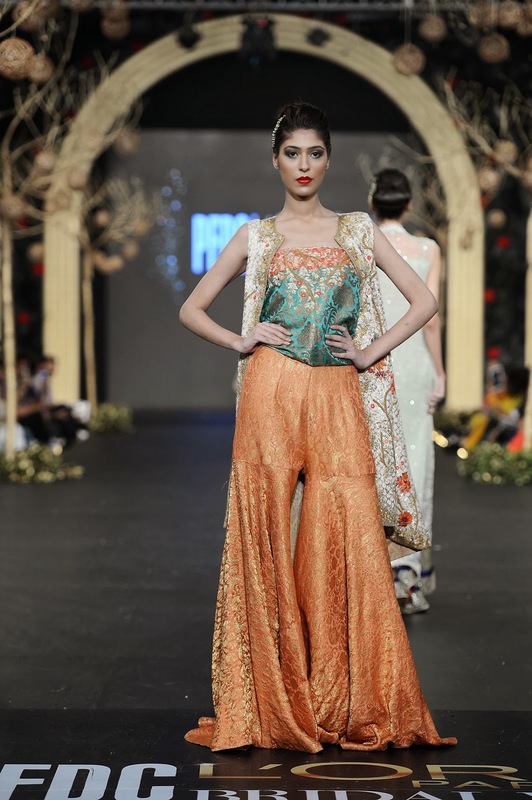 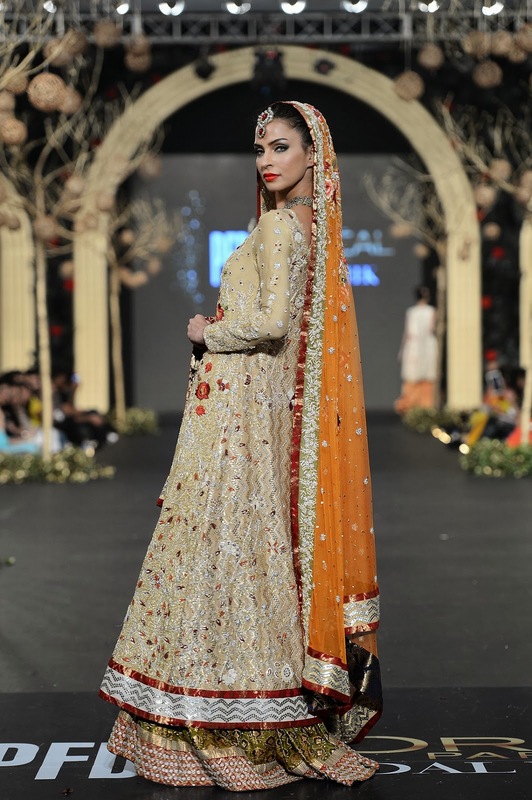 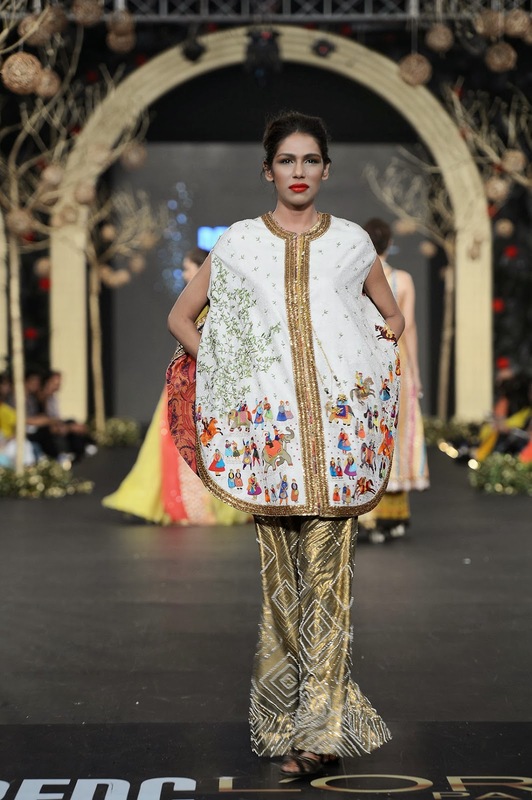 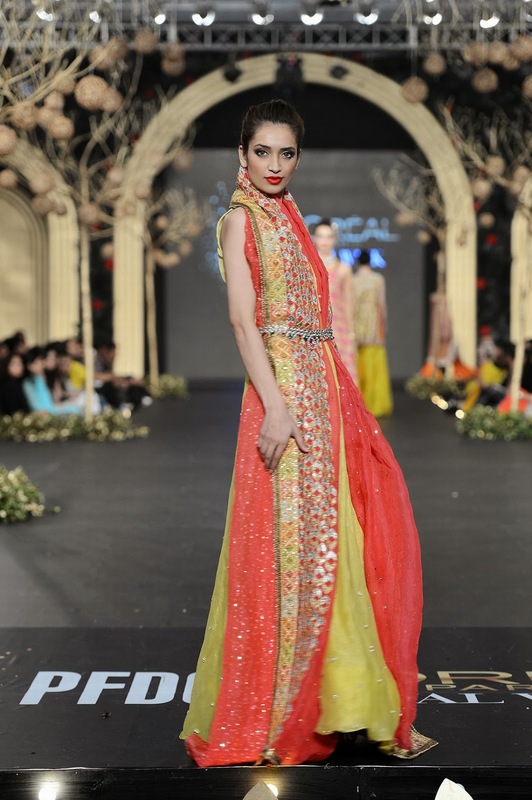 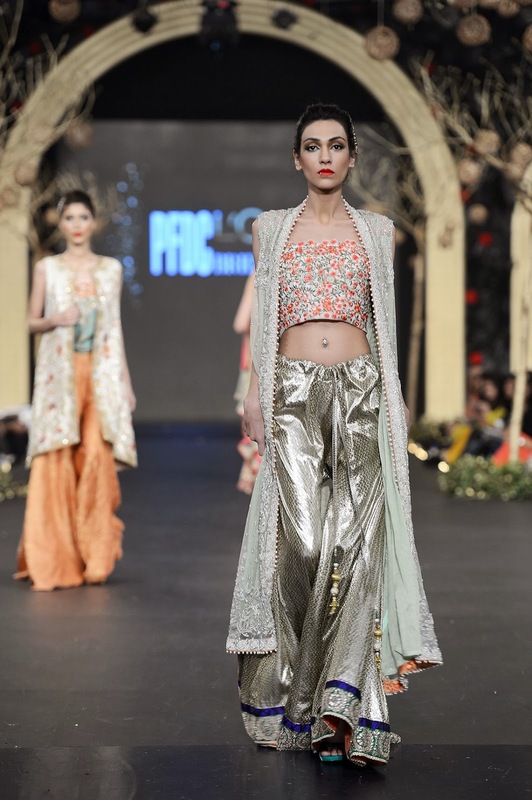 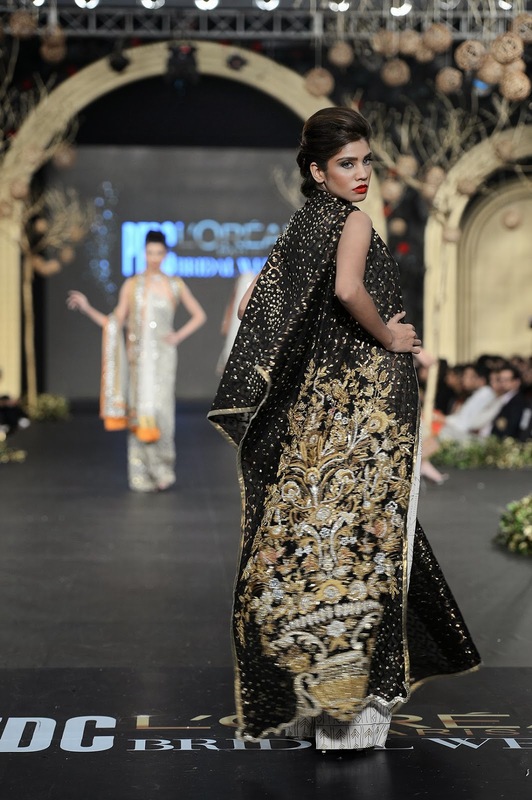 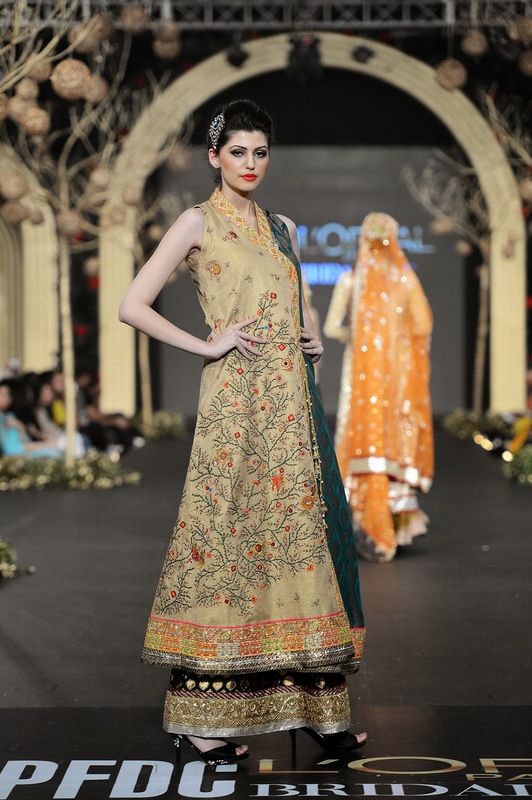 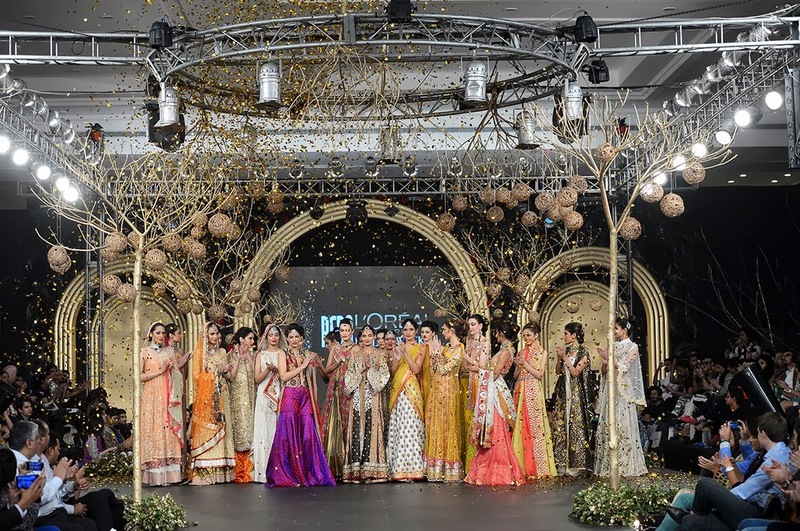 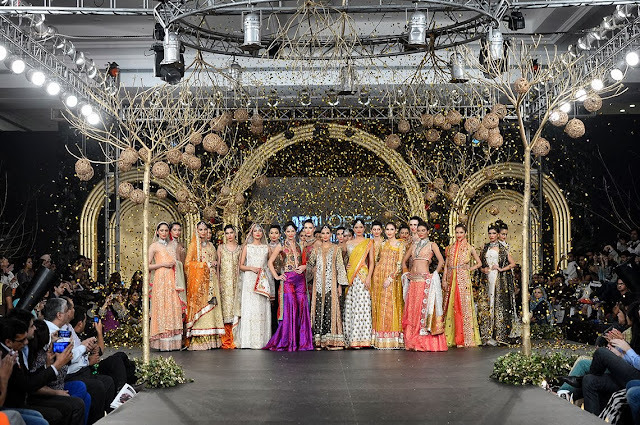 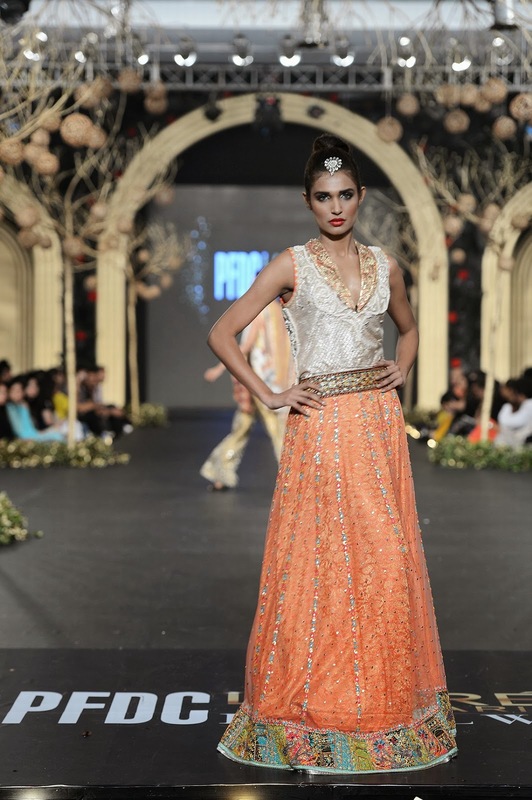 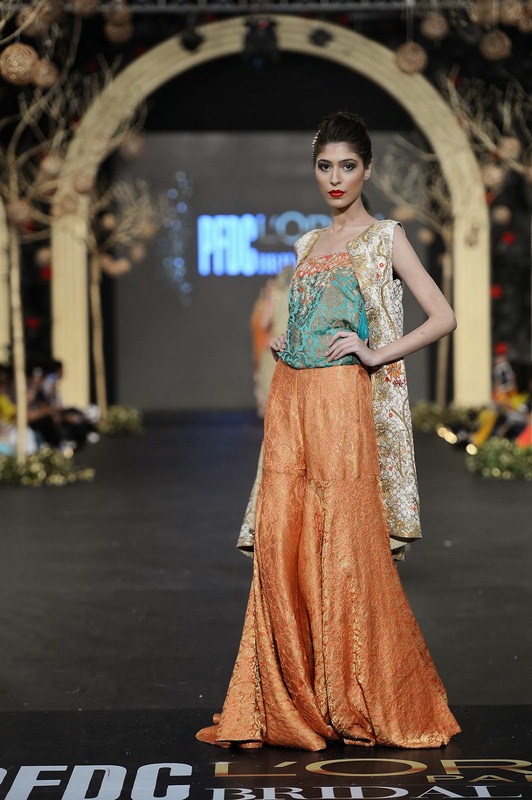 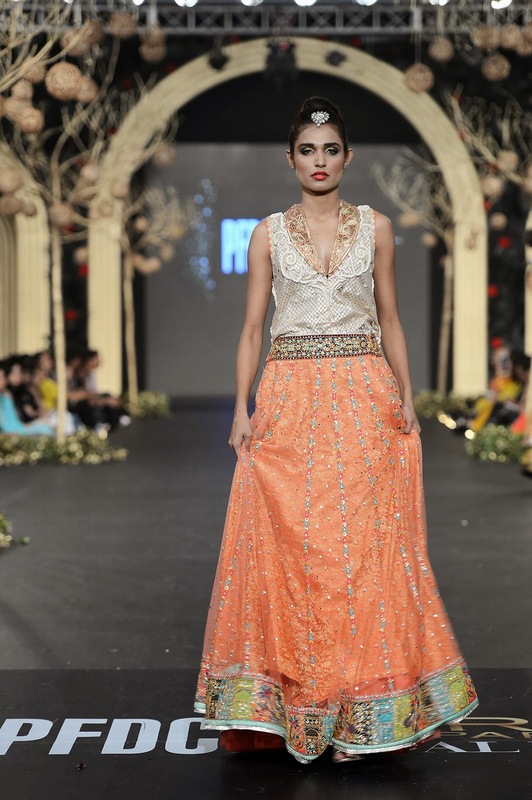 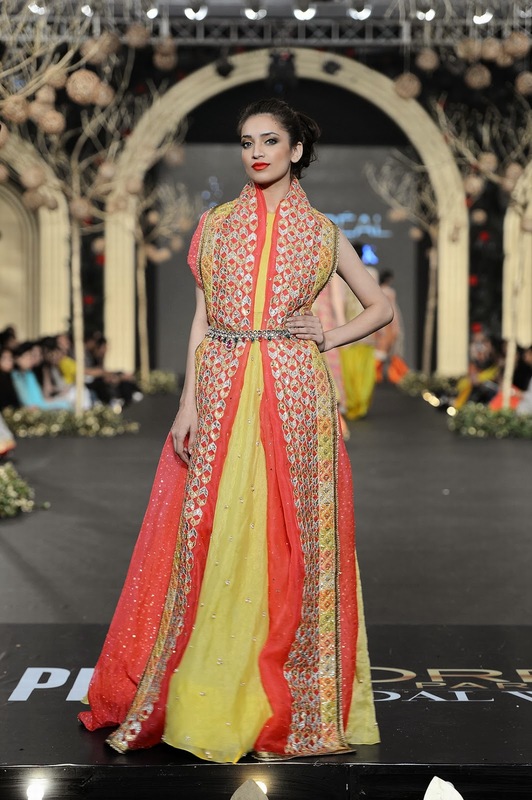 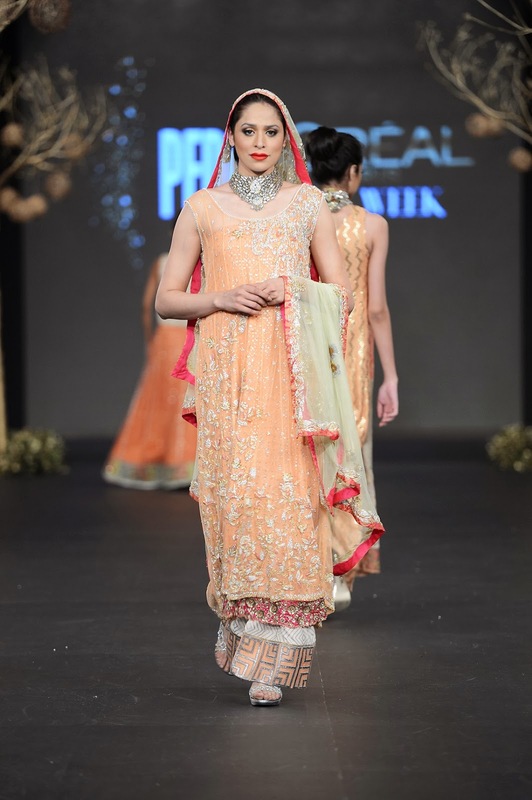 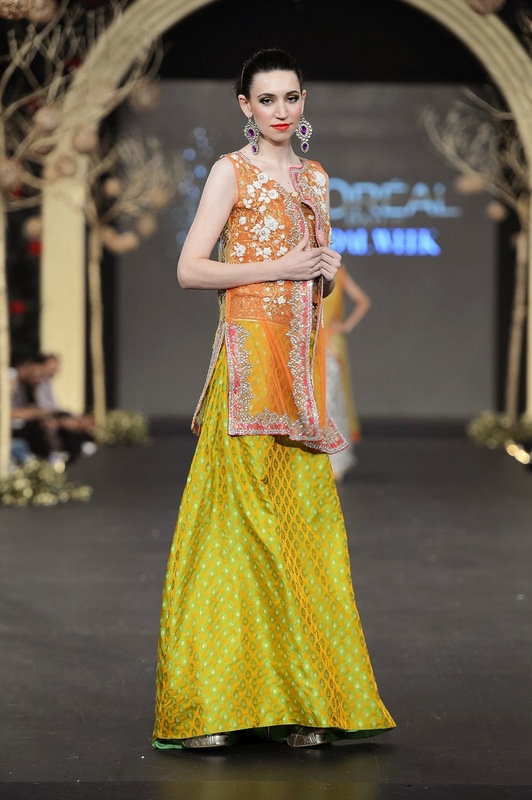 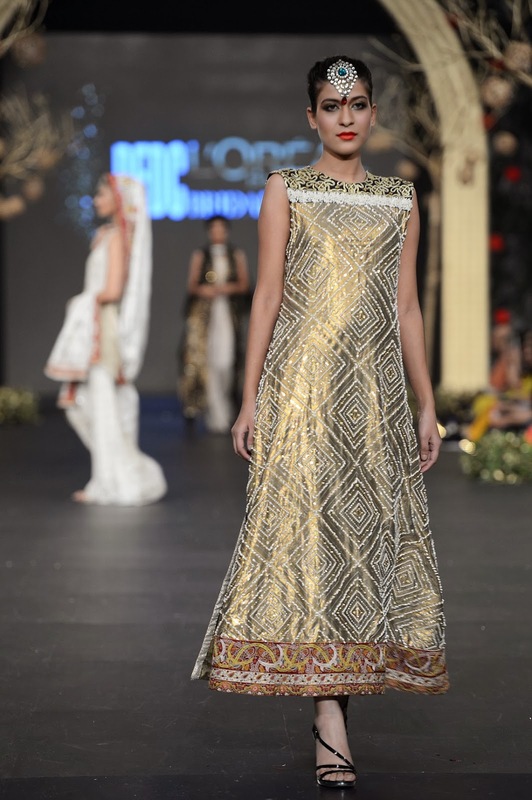 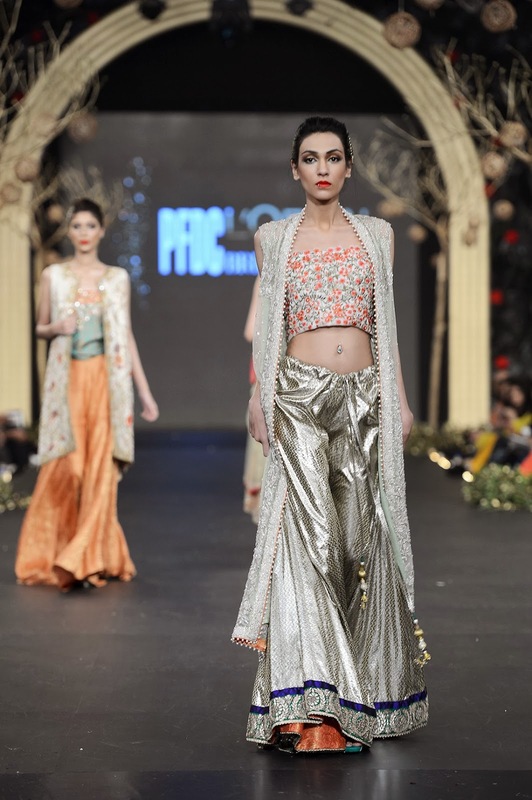 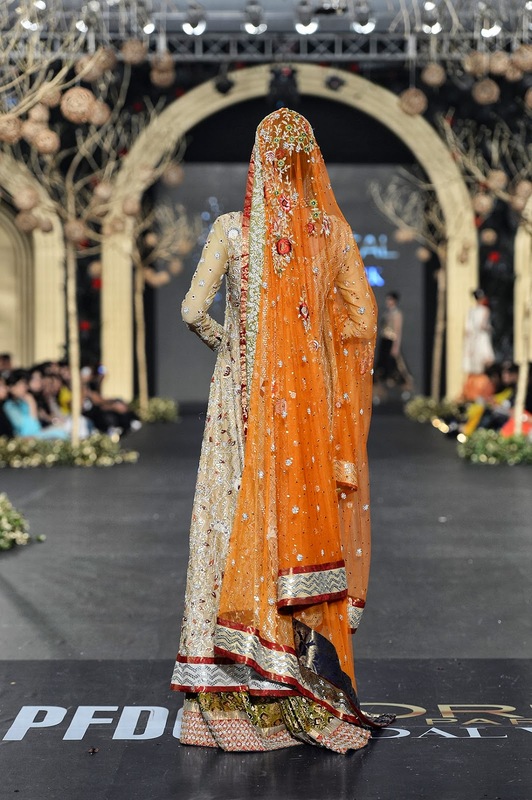 The coveted House of Sania Maskatiya presented their exclusive bridal collection titled, ‘Tilism - Woven Treasures of the Magical East’ at the prestigious PFDC L'Oréal Paris Bridal Week 2013, during the finale of Day 1. 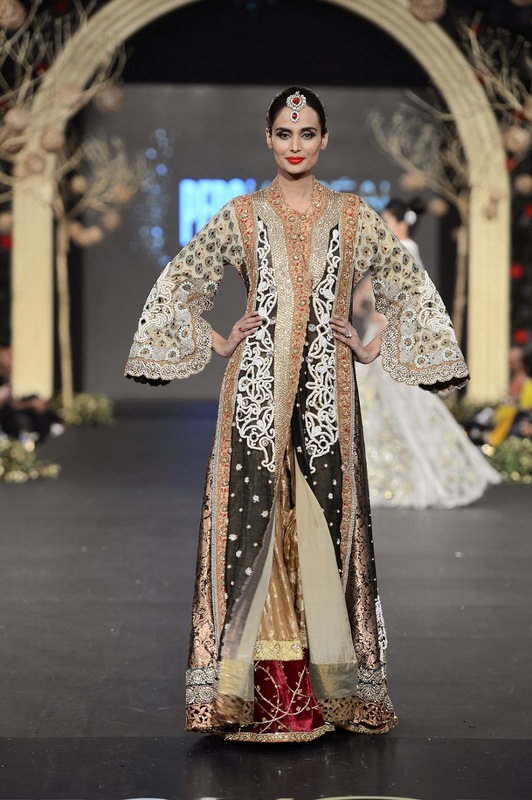 Showcasing a bridal and trousseau collection for the first time on the ramp, ‘Tilism’ by Sania Maskatiya drew inspiration from the ancient and enduring romance with the East, the home of the rising Sun, where an absolute beauty has long resided in the subtlest details and the grandest designs. 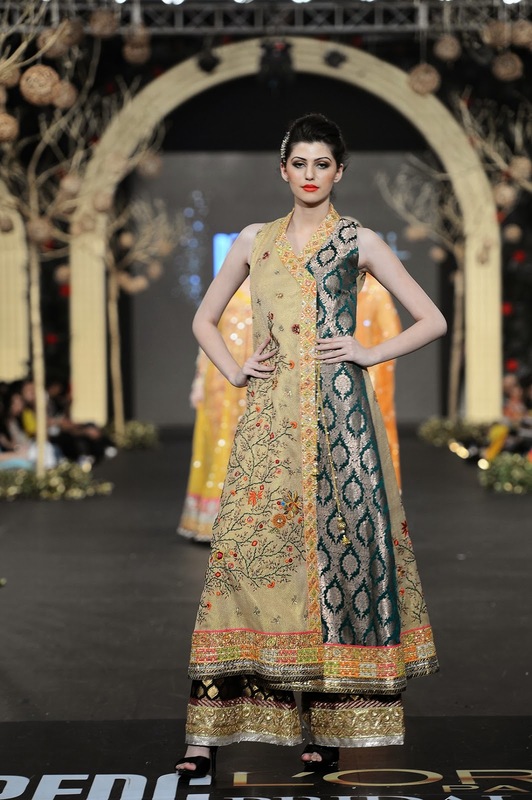 Indeed, ‘Tilism’ had been crafted to evoke precisely this quality, drawing upon the grandeur of times bygone. 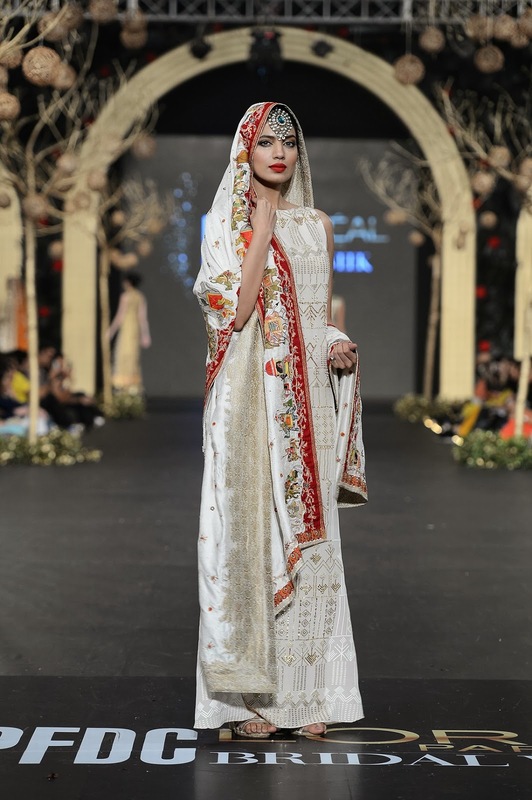 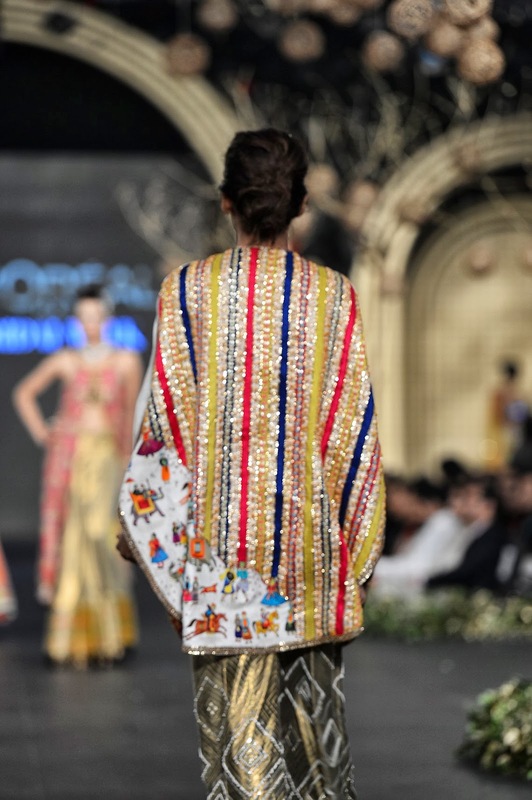 Combining centuries old embroidery techniques with highly sophisticated fabrics for which the Sania Maskatiya label is renowned, ‘Tilism’ endeavored to remember and respect Indo-Pak craft traditions, many of which are now nearly extinct. 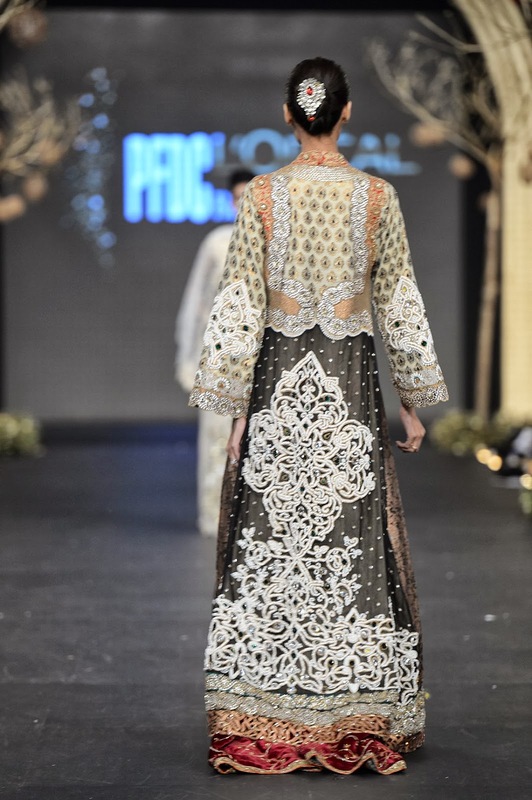 Staying true to the brands’ signature aesthetic of contrasting materials and patterns, ‘Tilism’ presented a host of playful separates, engaging both traditional as well as contemporary embroideries, from the intricate threadwork of zardosi, marori, tilla, and aari, to the shimmering texture of gota and kamdani. 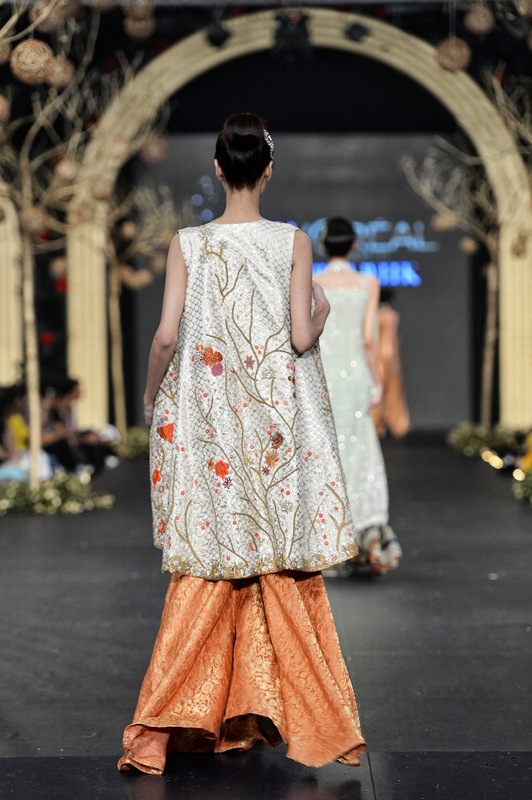 The collection featured a range of silhouettes, from lehngas and cropped pants, to cholis, capes and jackets.